Immature yellow fever virus particle, computer artwork. The immature form is not virulent, and is yet to be fully processed by its host cell. Once this occurs (via the Golgi apparatus), the virus is mature and in its virulent form. 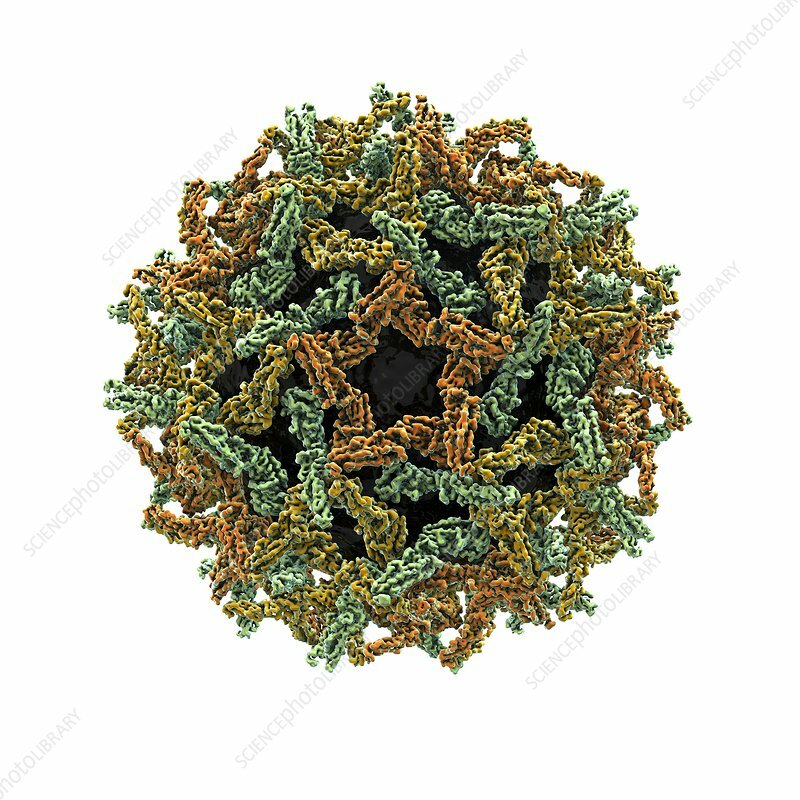 Yellow fever virus particles (virions) are composed of an outer icosahedral protein coat (capsid) encasing RNA (ribonucleic acid), the genetic material of the virus. This is an arthropod-borne virus, meaning it is transmitted through mosquito or tick bites. Yellow fever, or yellow plague, causes fever, chills, nausea, muscle pain and headache.